David G. Hartwell & Kathryn Cramer, eds. 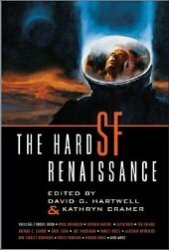 Essentially a sequel to the editors' 1994 The Ascent of Wonder, this volume compiles the many varieties of science fiction that fall under the increasingly diverse "hard SF" subgenre, especially as new writers reinvigorated it the 1990s and 2000s. The earliest stories included here were first published in 1991, just before the earlier anthology was released.